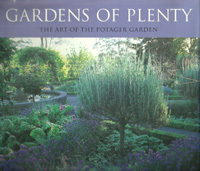 Potager gardens were first developed out of the cottage garden or kitchen garden in many places in Europe. 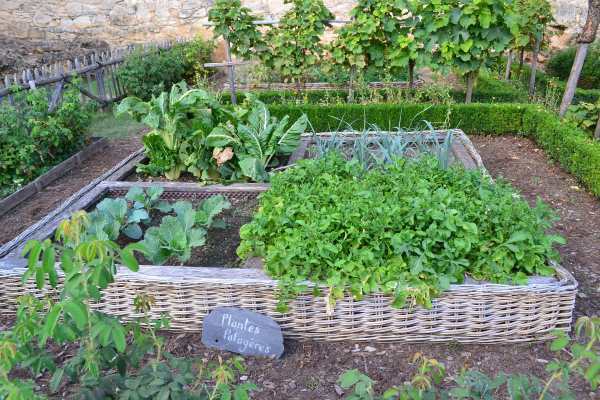 ‘Potage’ is the French word for soup; imagine a garden with all the ingredients for a really good wholesome soup and you have a potager garden, complete with vegetables, herbs for flavoring and flowers for decoration. Fruit bushes, vines and trees were essential for desserts and wine making. The evolution of potager gardens began in medieval times by the owners of large country mansions and the monks living in monasteries. To successfully grow all the herbs and vegetables needed for a large household to feed and minister to their health needs it was essential to have the plants in an area protected from animals, wild and domestic, as well as the ravages of the two legged predators. Enclosed and protected by a stone wall to provide support and reflect the solar warmth for espalier fruit trees brought back from the warmer climates of the Middle East by crusaders. In the sheltered micro climate, food crops thrive. 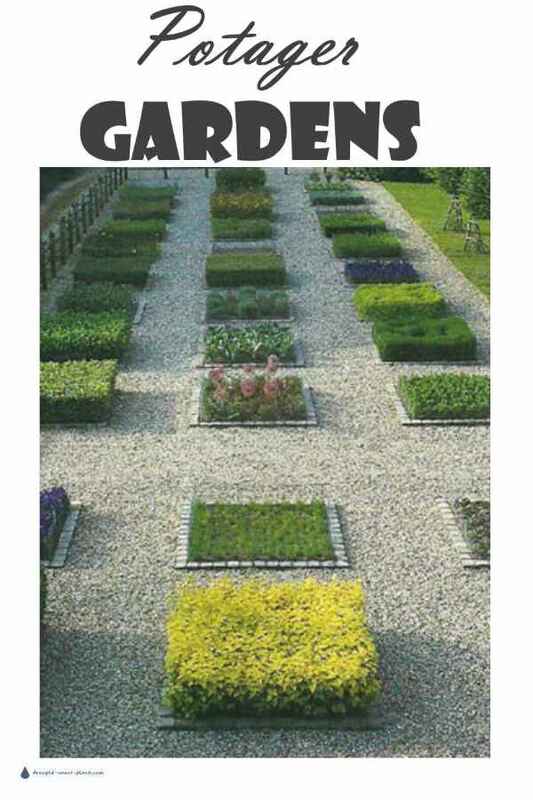 Diametrically opposed to the random nature and design of the natural garden, the potager garden was patterned in geometric parterres such as circles, squares or other shapes divided into more complex shapes and outlined in severely pruned shrubs such as Buxus sempervirens, the boxwood. A less demanding option to consider in your potager is Ilex crenata - a stiffer alternative with the same texture, but more forgiving of drought conditions and full sun exposure. Gravel is a standard paving material, beloved for its fast drainage, and the crunchy texture. Willow or hazel twig fan trellises supported vines, sheltered seedlings and fenced the raised beds to retain and protect the soil. Marylyn Abbotts book, Gardens of Plenty is so beautifully put together - if you aren't already planning on having a potager garden near your kitchen, this book will certainly inspire you. The photographs by Clay Perry will delight and intrigue you. Sometimes each bed had a focal point of a fruit tree or topiary shrub or tree in the shape of fanciful animals, balls or other shapes. Making a garden that gave pleasure was equally as important as the food it produced. 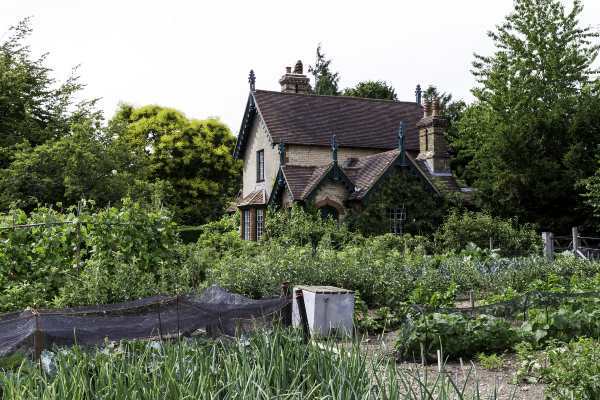 Many potager gardens have been lost to time, but some still exist today in their original form, or close to it. The Priory garden is a prime example. Not only do paintings and drawings of it remain, but the interest and drive of the heirs have made it possible to re-claim its former beauty. 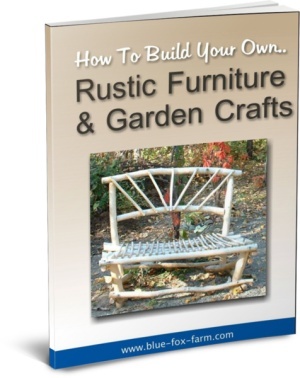 The old time skills of willow fence building and twig structures such as gazebos and arches have been re-learned, and the gardening techniques of the past such as making topiary are revived. 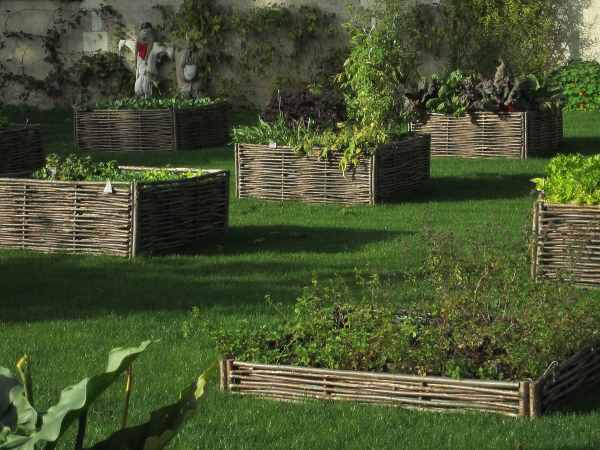 Planning a full scale potager may be beyond the reach of most of us, but a small knot garden planted with herbs and other bee attracting plants and paved with brick or flagstone pathways planted with thyme can emulate the feeling of an old time potager garden. 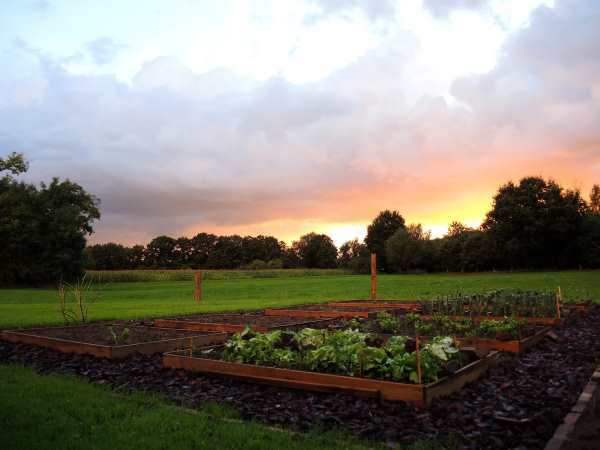 Putting food on the table in Medieval times was hard, but in modern times, the use of edible landscape design is more popular than ever, for different reasons - fresh organic produce never tasted so good.